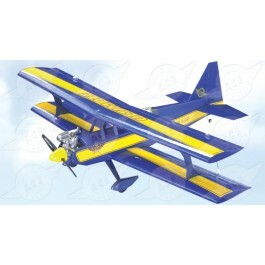 A great little airplane that will provide startling performance within the confines of the smallest of flying fields; most schoolyards provide enough room to fly this economical yet great looking airplanes. Wing Area: 396 sq. in. Engine: .10 - .20 cu. in. Like its full scale counterpart, the Ultimate is great looking all-out aerobatic show plane. For a small biplane it is surprisingly stable at slow speeds, yet offers extreme performance when the throttle is firewalled. Instantly recognizable, this biplane will turn heads at any flying field. When powered by a 10-20 size engine, the airplane will deliver great performance that is not limited by the airplane's small size and will surprise the pilot as well as the spectators. 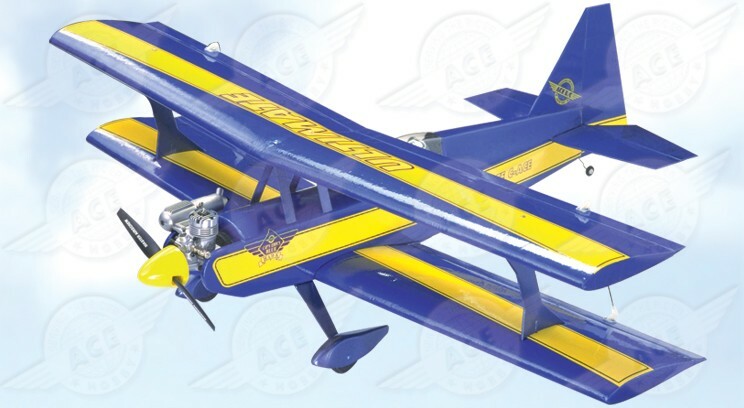 A great little airplane that will provide startling performance within the confines of the smallest of flying fields; most schoolyards provide enough room to fly this economical yet great looking airplanes.